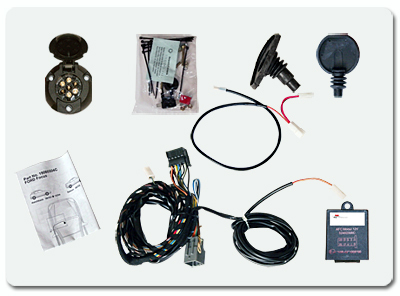 Towbar electrics have to be the the most important part of any towbar installation. Vehicle electrical systems have developed rapidly since the early 2000’s, that it has now become VITAL to install towing electrics which are fully compatible and harmonise totally with the vehicle. Many manufacturer’s have designed their vehicles similarly to a computer in the way they deliver all the signals around the vehicle. These digital signals interact with one another and each item of hardware is able to communicate with each other. For example, if the correct electrics are installed, the operating system of the vehicle will recognise the presence of this module and ‘change’ the way the vehicle operates. Likewise, when the trailer plug is connected, the vehicle will ‘detect’ this and open up a communication process. This vehicle network system is known as CAN bus (Controlled Area Network). NOTE! This ‘detection’ process will only operate if special towing electrics are installed. The ‘Universal electrics by-pass relay’ will NOT allow this detection to take place. Here is an example of a universal electrics installation which can seriously damage the vehicle. For older designed vehicles ( pre-2002) where technology was not as advanced, it is possible to provide a solution which requires a lower technology but none the less will not compromise the systems within the vehicle. Now Government departments are advocating the importance of vehicle safety systems and have accumulated statistics to show a huge decrease in road fatalities which they have attributed to the introduction of vehicle safety systems. We at Right Connections cannot emphasize enough that it is VITALLY IMPORTANT your vehicle is installed with towing electrical equipment that operates in the way the manufacturer intended. In regard to the last statement above, There are changes in the law as to what electrical systems are encouraged and/or discouraged in respect of installation. There is currently a new Type Approval document which deals with components installation and how they perform in regard to vehicle safety systems. This document is know as 2007/46/EC. Please click this link here and in particular, the words in paragraph 14. The alternative to specific electrics is the use of universal electrics which really means using a relay commonly called a ‘by-pass’ relay. 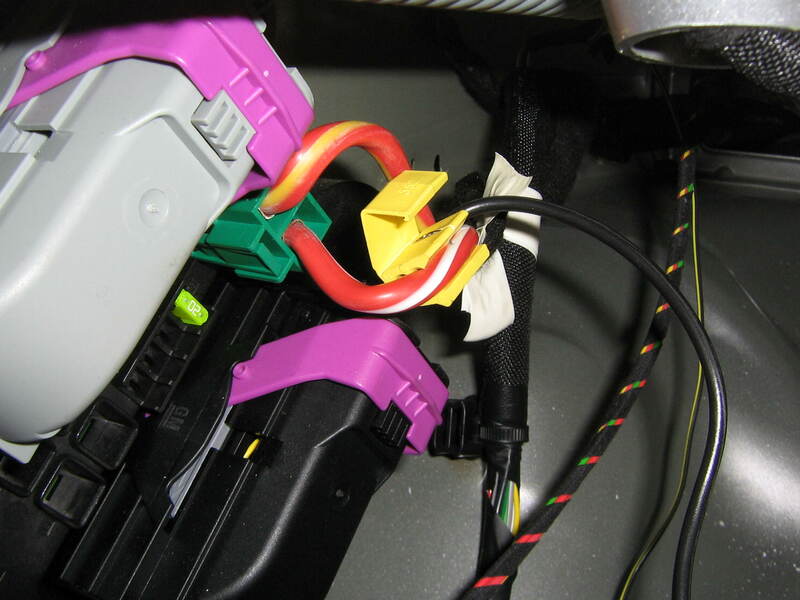 This is usually joined onto the lighting wires of the car using either solder with PVC tape or crimp connectors. Neither of these are truly satisfactory connections especially in view of details listed above.